The best part about Melbourne winter is here, Footy is back! Can’t make it to all the games? No stress, we will be playing every game of the AFL season LIVE & LOUD across our big screens. 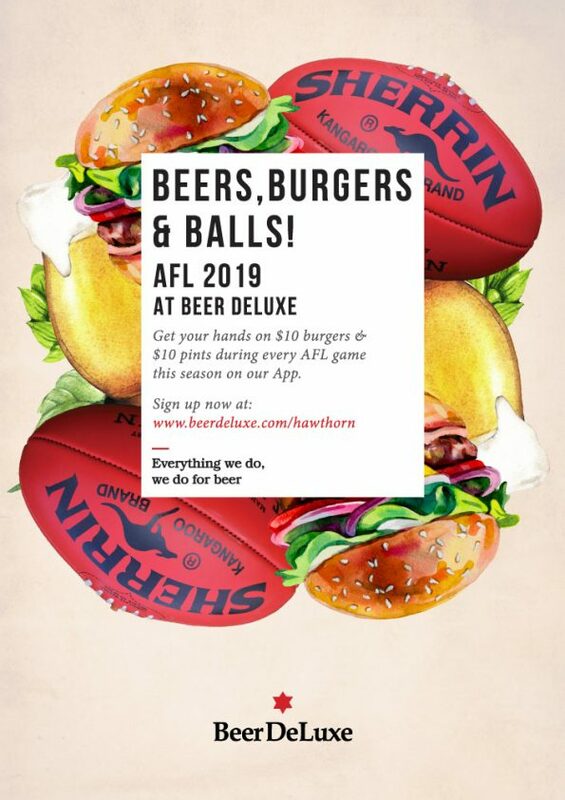 Get your hands on $10 burgers & $10 selected pints during EVERY AFL game this season through the Aus Venue Co. app. How do I get this epic offer you ask? Simple. Bounce your way onto the Australian Venue Co. app and enter the code AFL19 in the voucher code section. A tile will then appear, Show your AFL app card at the bar to our awesome staff when you want to redeem offers. Haven’t got the app? What are you waiting for! Jump on to the Apple store or Google Play store to download, enter your details & get appy!